As mobile technology continues to grow it’s now essential that your online presence is just as accessible to people using smartphones and tablet computers as it is to those on a regular desktop or laptop computer. In fact, it’s so important that Google now places a much bigger emphasis on mobile-friendliness as a ranking signal; so if your site doesn’t pass the mobile test, you can expect to be overtaken in the search results by competing websites that do. 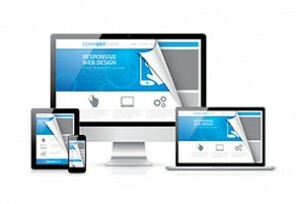 Every website that we build comes mobile-friendly and responsive as standard. So regardless of the device your customers are using, you can rest easy in the knowledge that your site will ‘respond’ to the screen size on which it is being viewed; enabling mobile-friendly menus that can be used without the need to ‘zoom in’ in order to navigate from one page to the next. Responsive layout. Allows visitors to easily read text and links, irrespective of the size of their screen. Mobile-friendly menu. Replaces regular menu when viewed on a small screen, enabling visitors to easily ‘touch click’ menu items. Click-to-call functionality. Gives customers the opportunity to telephone your business with a single tap on your phone number. Optimized pages. Layout and all files that make up the website are structured in a way to speed up download times. To find out more about our mobile-friendly websites you can reach us on 0121 745 5745 or contact us at info@mcwebconsulting.com.